Are you feeling ringing or abnormal sound in your ear? Then I regret telling you that you have developed the prominent symptoms of tinnitus. People are more susceptible towards tinnitus if they have long-term exposure to a loud workplace, a frequent sufferer of depression & stress and those who are an active musician. Here are some preventive measures that can save you from tinnitus. 1. Many industries provide personal protective equipment to their employees. But most of them are failed to give proper training to their employees for wearing protective muffle. It is advised to those who are permanent employees of the industrial environment to wear earmuffs to keep them self-secure from a harmful condition such as tinnitus. As high decibel of noise can negatively impact the normal functioning of the ear. 2. 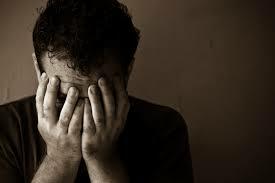 People are more vulnerable to tinnitus if they have gone through with post-traumatic stress. The exposure to a loud environment can put them in danger of painful tinnitus. It can also induce in those who had head and neck injuries. The simple way to prevent the occurrence of tinnitus is to reduce the exposure to loud noise. Regular listening to music through headphone should also be avoided. 3. If you feel that you are gradually developing the symptoms of tinnitus, then you should keep yourself away from caffeine and nicotine-containing product that might help you to combat the occurrence of severe tinnitus. Moreover, you can distract yourself from annoying sound by involving enjoyable activities in your life. 4. As you know, every organ has a unique function in our body. 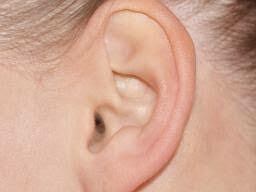 In the same way, each ear also works as a protective organ that keeps your ear clean. The tiny hair and ear wax in ear work as a barrier against foreign particle. But if you are obsessed with the extra cleaning of your ear, you might put yourself at risk of developing tinnitus. As the extra cleaning of the ear can pile up more wax in your ear which could cause tinnitus symptoms. 5. If you are susceptible to certain fungal ear infection, then you end up developing the symptoms of tinnitus. Treating ear infection and regular screening help you to get rid of the achy infection and in turn reduce the risk of tinnitus. As the occurrence of ear infection on intermittent basis can increase the likelihood of tinnitus. So, it is advised you to treat the infection at an early stage by proper medication and routine checkup. 6. We become bored with day to day routine that makes us sluggish and droopy. In that case, we might develop the habit of hunchback posture. 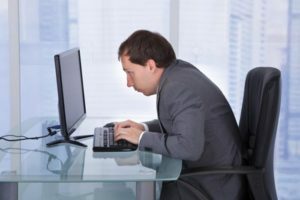 Sometimes ergonomic exposure leads to cause tinnitus when we are sitting long on the computer with the same posture. Sitting or walking straight can make your physical condition even and keep you away from tinnitus symptoms. Speak with a tinnitus treatment specialist in NYC.